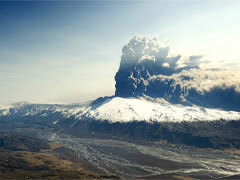 This screensaver captures aerial shots of the Eyjafjallajokull volcano showing billowing smoke and ash. Shoot for the sky. Download this amazing basketball screensaver today.